Argentina is all about the empanada. You won’t walk a block in Buenos Aires without encountering some sort of establishment that sells the coveted handheld love pocket. It’s the most common go-to snack in the country. 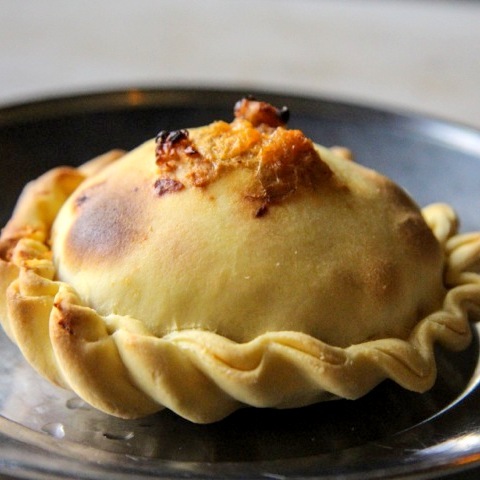 The Argentine empanada can be prepared in endless ways, each province trademarking its own variation. Some are baked, others fried, each have dozens of filling options -- even how an empanada is folded and sealed is deemed an art form. 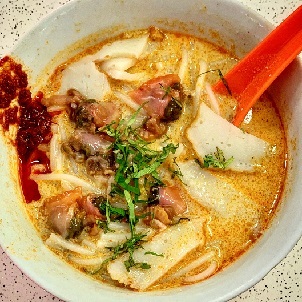 But to distinguish the exceptional from the mediocre, I scoured food shacks, holes in the wall and more for my dreamiest three-bites of meat or cheese wonder. So come along on this exhilarating virtual empanada journey to find out exactly what empanadas in Argentina are all about. Every region (provincial) has a different take on how the empanada is done. 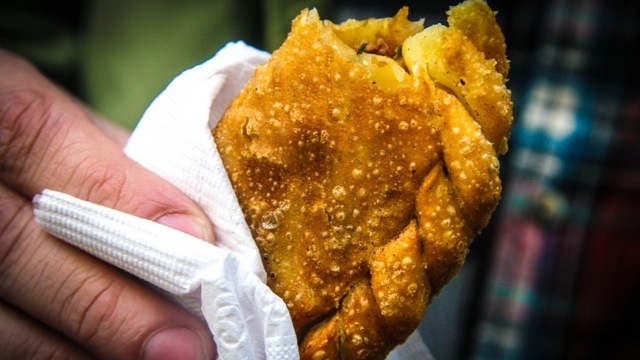 For example, the empanada salteña, which hails from Salta in the north, is probably the most nationally beloved version. It’s generally smaller in size, baked in a clay oven, and filled with beef, potatoes, onion and served with a spicy tomato sauce on the side, while its sister flavor is stuffed with quesillo, a cheese similar to queso fresco. 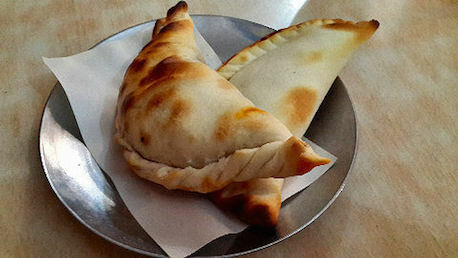 Empanadas tucumanas, which come from Tucuman, are packed with beef, hardboiled egg and onion while empanadas from Jujuy are similar but contain peas, olives and raisins. In Buenos Aires, standard flavors are cheese and onion; tomato, basil and mozzarella; humita (corn); spinach or Swiss chard in a béchamel; and the coveted carne picada (ground beef) or carne cortada al cuchillo (chopped beef). There’s an art form to making the empanada. The masa (dough) consists of a simple blend of lard or butter, flour, salt and water. It is then stuffed with the filling before it is shaped and meticulously sealed and folded (called the repulgue). Each type of empanada usually has a characteristic fold, which is a way to distinguish the empanada flavors. Here are the best around. 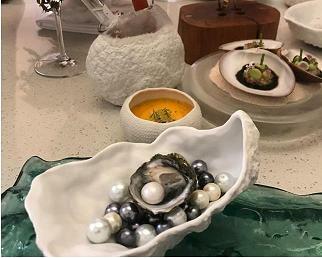 If you don’t know the exact address, you probably won’t find this gritty hole in the wall that specializes in regional food from the north of Argentina. With only about 10 tables (ridiculously close together), this spot fills up for lunch and dinner with locals munching on empanadas by the dozens. It’s impossible to eat less than three of the empanadas salteñas, made with perfectly flakey dough and baked in the oven. This empanada dive in Recoleta seems to be always packed with old Argentine men getting down with wonderful baked empanadas from Catamarca. The signature empanada is the one to go home with: the Pikachu, loaded with cheese, onions and a mild spicy sauce. Spice + dough + lamb + deep fry could only have one magnificent outcome. If it was legal to marry an empanada, I’d like to have a civil union with El Banco Rojo’s lamb beauty. It’s rare to find spicy food in Argentina, since the local palate is quite sensitive. So when I found this ultra-picante version, it was love at first taste. Spicy ground lamb meat is stuffed inside an empanada wrapper and then deep-fried until golden brown. La Fachada is an empanada shop, mostly on demand for delivery, with one of the largest selections of empanada flavors in the city. It is known for both the traditional and open-faced baked styles. Try flavor combinations like mendocina (spiced beef); pancetta and plum; sun-dried tomatoes, Parmesan and arugula; roasted leek and cheese; and ham with pineapple. On a quiet corner in Palermo, El Nono Amigo brings a bit of a twist on the classic empanada shop. While this almacén and deli is known for its artisanal beer, sandwiches and charcuterie platters, it also does an interesting take on the empanada with flavors like humita (sweet corn), pickled eggplant, and my personal favorite, marinated artichoke. Pair it with a Campari, Cynar or Fernet aperitivo and you have a winning combination. It’s not often you hear about an empanada that develops a crazy cult following. This sit-down restaurant, which honors Argentina’s beloved political figures Juan and Evita Peron, might seem like an unassuming spot for making one of the best empanadas in the city. But Peron Peron’s version has managed to cause somewhat of an unhealthy addiction in its fanatics. Peron Peron’s empanadas are stuffed with braised osso bucco and then deep-fried. Head to just about any plaza or park on a Sunday, and there will most likely be a fair or festival happening. Head to the Feria de Mataderos on a Sunday, and you’re in for the ultimate Buenos Aires street food fest and artisan craft fair. It’s known as the gaucho fair (Argentine cowboy), where locals gather to partake in folklore singing, dancing and eating regional food. But I head straight to the outskirts of the fair, to a women perched in front of a cast iron pan over an open flame on the street, frying hundreds of the most perfect beef empanadas I ever tasted. Take a beautiful piece of perfectly smoked brisket, pack it inside an empanada, seal it shut, and deep fry that bad boy. Expat Larry Rogers pays tribute to his beloved Texas barbecue and his adopted country with this miraculous American-Argentine fusion empanada. It's pretty much a bite of absolute genius.